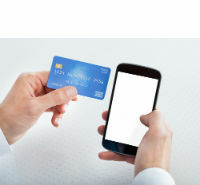 Which Mobile Payment Platforms Should My Retail Store Accept? Whether you’re a small business owner who exclusively sells products online, or if you also have a physical location where your customers can shop, the way your business accepts payments is about to change drastically. Advances in mobile payment technology have given rise to contactless payments in retail stores, and increased competition by tech companies is transforming how online transactions take place. Combine that with the fact that, starting in late 2015, the swipe-and-sign method of credit card payments so prevalent in the United States will be displaced by the more secure chip-and-PIN process used overseas, and you have an aspect of business in an extreme state of flux. One thing that isn’t changing, though, is that more and more people are using their smartphones and tablets to shop, both online and in traditional retail environments. And this upheaval in the retail industry makes it ripe for revolution, and many tech companies, including Apple, Samsung, and Google, recognize the lucrative opportunity and are now offering their own solutions for business owners and consumers. Each of these mobile payment platforms utilizes a technology known as near-field communication (NFC) to conduct in-person transactions at retail stores, but they can work online as well. Here’s a closer look at the contenders vying to become consumers’ payment platform of choice. Got a good or service that the world needs to know about? Create a small business website to spread the word. Announced in March 2015 and officially launching in the summer, Samsung Pay is poised to be major player in the mobile payment space thanks to its far different—and arguably more innovative—approach to mobile payments. The strength of Samsung’s offering is that it doesn’t require retailers to upgrade their payment processing terminals, since their technology was designed to work with existing point-of-sale hardware. This means that the moment Samsung Pay launches, it will instantly work at over 30 million locations across the world, dwarfing the mere 220 thousand terminals compatible with Apple Pay. The way Samsung Pay works is kind of magical: Phones enabled with the technology emit a magnetic field that mimics the same properties as the strips on the back of credit cards. All merchants need to do to accept Samsung Pay is hover the purchaser’s smartphone over a credit card terminal—even if the terminal years old and predates any of this technology—and, voila!, the transaction is complete. (Akin to Apple’s offering, Samsung Pay also confirms the identities of users by scanning their fingerprints.) Samsung Pay is still in its early stages, and though there is currently only one phone it’s compatible with (the Samsung Galaxy S6), more devices are already on the way. As the creator of an operating system that powers over 1 billion mobile devices on Earth—quadruple the number of iPhones out there—Internet giant Google is also making a play to dominate the direct mobile billing space. For several years, the company has offered Google Wallet to consumers, though the platform has yet to gain a significant foothold. The Internet giant more recently announced a new effort called Android Pay, which seeks to further streamline retail and e-tail transactions. The distinction between Google Wallet and Android Pay can be bit murky. Android Pay is essentially the technology that enables both online and physical retailers to accept payment from Android devices, whereas Google Wallet is a mobile app that serves as the form of payment itself. Android Pay is not positioning itself as a competitor of Samsung Pay, and Google is leaving the door open for the services to somehow work together. The specifics of how that might be possible are still unclear, though. Though some obstacles still stand in the way of a world full of frictionless transactions, mobile payment systems are becoming more mainstream and will soon gain widespread consumer adoption. As to which company will see the strongest success in this arena, it’s anyone’s game at this point. And with more players likely to enter the fray in the coming months, count on this space to quickly get more crowded. Now that you know what the future of mobile payments looks like, learn to create a small business website to start selling your stuff.